Oklahoma-based Rapid Application Group (RAG), a small additive manufacturing (AM) firm owned by a disabled veteran has been able to double its production capacity and throughput after it incorporated Figure 4 Standalone 3D Printer from 3D Systems. 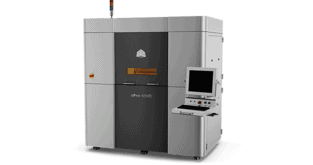 In an official release, 3D Systems revealed that by using the company’s Figure 4 – industry-leading 3D printer has allowed Rapid Application Group was able to support mission critical and time-sensitive operations for customers operating in a variety of industries such as Aerospace, Defense, Healthcare, Motorsports and Oil & Gas. 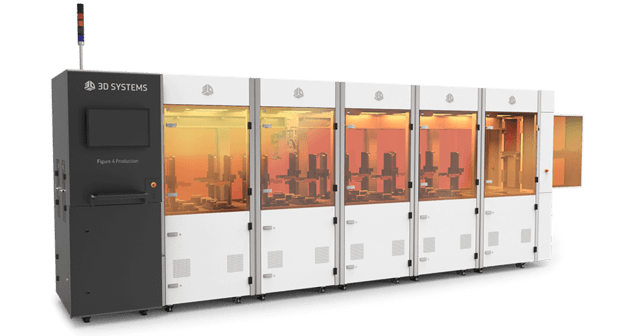 Rapid Application Group first collaborated with 3D Systems two years ago when it increased its capabilities by adding two 3D Systems SPro 60HD-HS SLS 3D printers and used 3D Systems On Demand stereolithography (SLA), Direct Metal Printing (DMP) and Multijet Printing (MJP) services. In the last one year, Rapid Application Group registered a growth of 300%. However, Rapid Application Group transformed its operations when it incorporated the Figure 4 Standalone 3D printer in August 2018. For instance, Rapid Application Group was able to double its capacity and reduce its time-to-print process by nearly 90% or from seven hours to just 45 minutes immediately after it incorporated the Figure 4 Standalone 3D Printer from 3D Systems. 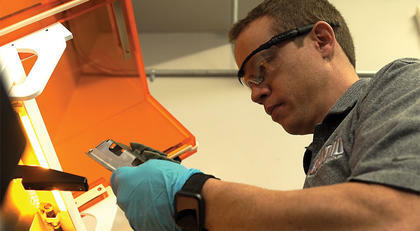 Figure 4 is 3D Systems’ additive production platform and industry’s first scalable, fully-integrated factory solution for direct 3D production, which accelerates and simplifies the fabrication of plastic parts with high speed digital molding, while at the same time produces the same accuracy, reliability and repeatability offered by traditional injection molding. Invented by 3D Systems’ Co-founder and Chief Technology Officer, Chuck Hull, Figure 4 is a combination of production-grade materials and ultra-fast print technology, which enables 15 times throughput improvements when compared with competitive offerings and at 20% less cost than existing manufacturing processes. “The robust materials and injection-molding-quality surface finish, combined with very quick print times, have helped us double our capacity and throughput. 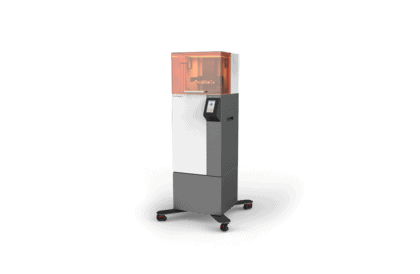 We have already achieved full ROI with this one, remarkable 3D printer,” added Hill. The production transformation of Rapid Application Group is another testimony of how 3D Systems works with customers and helps them to implement innovative solutions and reduce costs as well as cycle times without compromising productivity. Explaining about the company’s strategy with respect to helping customers, Phil Schultz, Senior Vice President, General Manager, on demand and plastics at 3D Systems said, “3D Systems partners with customers, delivering 3D printing solutions to not only transform their manufacturing environment, but helping them grow their business and maintain competitive advantage”. “No matter the size and scope of a business, additive manufacturing can have an everlasting, positive impact on its end-users in more ways than one. It’s a true honor to see our solutions play a multipurpose role at Rapid Application Group,” adds Schultz. Using 3D Systems’ technologies have also provided an opportunity to Rapid Application Group to give back to the community. For instance, Owner Terry Hill runs a series of additive manufacturing courses for high school students, helping them learn the fundamentals of workflows supporting the end-to-end production of 3D-printed parts. He’s also helping disabled veterans through a new ‘Veterans to Additive’ program – a standardized certification course that trains veterans on the additive manufacturing process. Terry is not only utilizing 3D printing to positively impact disabled veterans, he is also conducting prosthetics research and prototyping to support disabled service animals. Rapid Application Group is also partnering with 3D Systems’ team to provide investment casting patterns using the new ProJet® MJP 2500 IC, which the company intends to bring in-house next year.